The HSE has apologised to the family of the woman for not communicating the plan properly. THE HSE HAS apologised at the High Court to the family of an elderly woman over its failure to properly communicate a care plan devised by a hospital for her which her GP feared could involve her effectively starving to death. The President of the High Court, Mr Justice Peter Kelly, who described the breakdown as being “substandard” and “regrettable,” was told the woman is to be fed by an alternative programme known as comfort feeding- which involves the woman being fed small amounts of certain foods orally. The programme is now in place for the woman, who has been a ward of court since 2011. 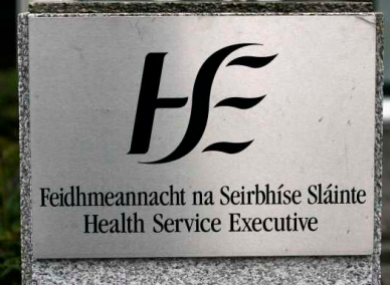 The HSE in its apology to the woman’s family and the court accepted its plan for the woman, complied by a multi-discipline team composed of physicians, a dietitian, a speech and language therapist, was not communicated to either the woman’s treating GP and the nursing home. The manner in which she had been discharged from the hospital to a nursing home was substandard, and should not have happened, counsel for the HSE Sarah McKecknie Bl said. All the nursing home and the GP got sight of was a discharge summary from the hospital. Counsel also told the court the multi-discipline team are also of the opinion the woman was not a suitable candidate to be feed by PEG feeding via a tube into her stomach. This fact they believed had been conveyed to the family. The HSE also apologised for not communicating with the Office of Wards of Court in regards to the woman’s health as it should have been. Counsel asked that the matter be put back for a few days so that the court can be updated in relation to the woman’s situation. The woman, who has dementia, recently lost the ability to swallow caused by a stroke, but is otherwise healthy. She was hospitalised in early January with aspirational pneumonia. She was discharged from the hospital late last week, at 4am, and was returned to a nursing home where she had been resident. Solicitor Andrew Cody, representing the concerns of the woman’s daughter, who constitutes her wardship committee, had raised the situation with the court. Mark Connaughton SC for the committee said his client wanted to see the multidisciplinary report and the care plan for the woman as soon as possible. Lawyers for the HSE said this would be done. Mr Justice Kelly said in this case there had not been proper communication between the hospital and the GP and the nursing home concerning the woman and the care plan that had been put in place. Noting that the HSE had apologised several times for what happened the Judge also said he hoped there would be agreement between the parties concerning the woman’s ongoing treatment. The “urgent” situation the court found itself presented with was something “I hope will not be repeated” the Judge said. The Judge also said the Office of Wards of Court is there to protect those who cannot make independent decisions for themselves. The Office should be informed about any significant medical treatment she was to receive, the Judge added. The Judge said he also was taking into account evidence of the woman’s son on behalf of the family who has expressed their concern for the woman. The woman’s son told the court the family had no problem with the hospital and accepted they had been informed about the risks of the PEG feedings procedure. Their main concern was that she would be comfortable and not in pain. The Judge, in adjourning the matter to Friday said that he hoped any remaining difficulties between the parties concerning the woman’s health are resolved. If not the Judge said he was minded to appoint an visiting physician to independently assess the woman on the court’s behalf. The Judge, after being told on Monday the woman had not eaten for days, directed an urgent inquiry into whether the proposed treatment is medically justifiable or if the woman should receive the normal treatment for her condition, PEG feeding via a tube into her stomach. The inquiry came after the woman’s GP had said in a letter to the hospital involved she, the GP, was “not comfortable ethically” with what was happening to the woman. The GP had tried to contact the hospital over concerns the woman could die from starvation. Email “GP feared elderly woman's care plan could make her starve to death”. Feedback on “GP feared elderly woman's care plan could make her starve to death”.